Update: View a recording of Alesina's Lecture here. Political Economist, Alberto Alesina, will visit Cornell on October 31, 2018 to present "Immigration and Redistribution: Perceptions Versus Reality" for the George Staller Lecture Series. Alberto Alesina is the Nathaniel Ropes Professor of Political Economy at Harvard University. His work has covered a variety of topics: political business cycles, the political economy of fiscal policy and budget deficits, the process of European integration, stabilization policies in high inflation countries, the determination of the size of countries, currency unions, the political economic determinants of redistributive policies, differences in the welfare state in the US and Europe and, more generally, differences in the economic system in the US and Europe, the effect of alternative electoral systems on economic policies, and the determination of the choice of different electoral systems, culture and economics, ethnic conflict, inequality and redistributive policies, and the macroeconomic effects of fiscal policy. Alesina has published extensively in all major economic academic journals, published columns in many leading newspapers around the world, and has visited several institutions including MIT, Tel Aviv University, University of Stockholm, The World Bank, and the IMF. He is the author five books including “The Future of Europe: Reform or Decline,” published by MIT Press, with Francesco Giavazzi and “Fighting Poverty in the US and Europe: A World of Difference,” published by Oxford University Press, with Edward Glaeser. 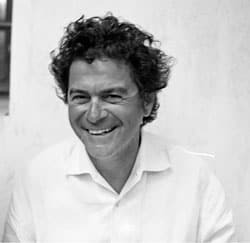 Alesina obtained his undergraduate degree from Bocconi University in Milan, Italy and his Ph.D. in Economics from Harvard University in 1986. He served as Chairman of the Department of Economics at Harvard University from 2003 - 2006. He is a member of the National Bureau of Economic Research (NBER) and has served as the Director of the NBER Political Economy Program since 2006. He is a member of the Center for Economic Policy Research and the Econometric Society and a fellow of the American Academy of Arts and Sciences. Dr. George Staller joined the faculty of Cornell's economics department in 1960 and taught for 49 years. His research included studies that compared planned and free market economies, and analyses of industrial growth and industrial output within Soviet Eastern Europe. However, Staller was perhaps best known for -- and derived his greatest professional satisfaction from -- teaching popular undergraduate economics courses. He taught courses on the economies of the Soviet Union and Eastern bloc and comparative economic systems as well as introductory macroeconomics courses. After his passing, the first annual George J. Staller Lectureship in Economics was delivered at Cornell in 2009 in honor of his teaching at Cornell.